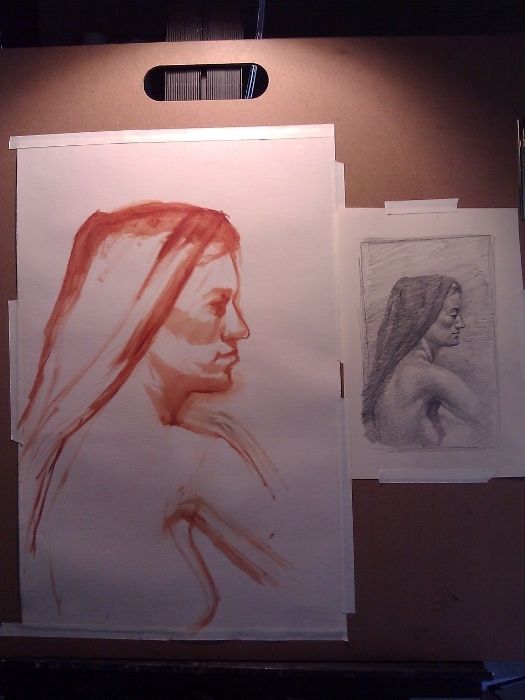 Here are the stages I went through while painting a portrait during a short amount of time (5 days, 3 hours in the mornings). I painted this a couple of months ago, when I started expanding my palette. 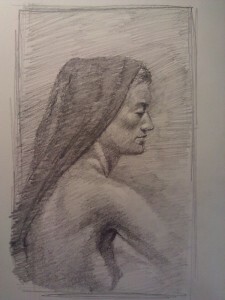 I started out with a pencil study to decide what I want to include, how to crop the painting and to study the general value range. 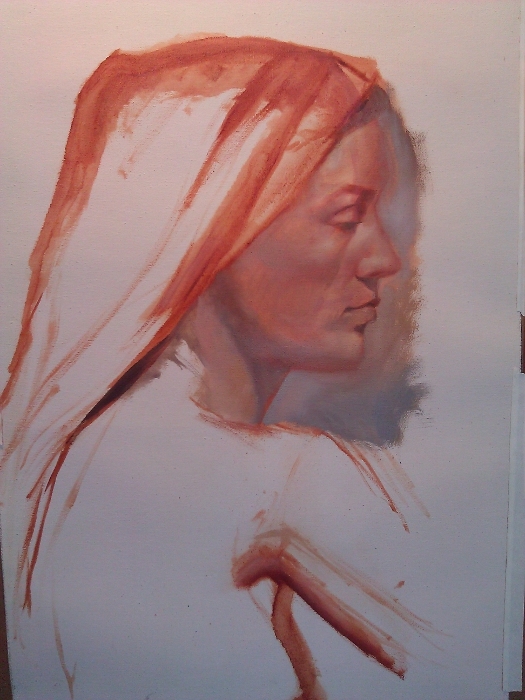 Then, I started working straight on the canvas, blocking-in the figure with thinned-out paint and brush. 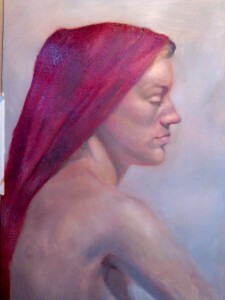 The next day when the underpainting was dry, I started applying paint using about 7 colors. I run out of time before I could complete the painting but I still enjoyed the process. I think it’s interesting to see the facial expression and mood change from version to version. One of the major challenges I encounter and will encounter in painting is how to live up to that initial vision a painting has for me. Going through various difficulties in the execution of a painting, it is hard to still keep in mind that initial inspiration and vision, but I think doing so makes the painting better.